With a few snacks, a camera, and our little hatchback, we set out towards Banff and Lake Louise. A detour before our next little adventure. We camped out in the car for a few hours to rest our eyes before we walked to the lake. The lights from Moraine Lake Lodge gently illuminated our path to the lake. 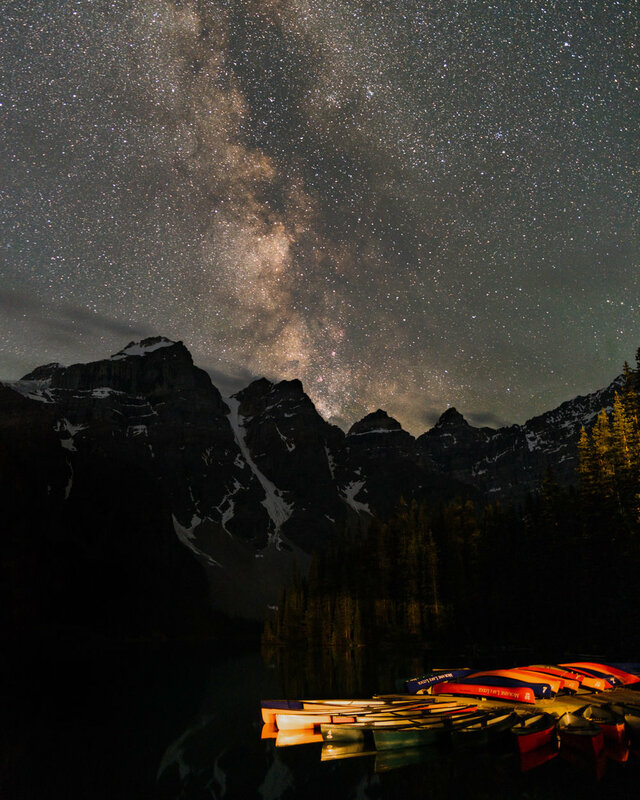 Seated on the boulders by the shoreline, we looked up as the milky way lined up over the peaks of Moraine Lake. We are here, a dot in time and space, a small breath of life among the immensity of Moraine Lake and the peaks that surround it. With everything that is going on in this world, can we just stop and look up at the night sky? Maybe perspective is what is needed.